Palm Beach Shore Acres: THE PROPERTY IS LOCATED DIRECTLY ON THE OCEAN IN THE TOWN OF OCEAN RIDGE. THIS UNIQUE LOCATION IS ON OLD OCEAN BLVD, WHICH IS A PEDESTRIAN STYLE STREET WITH FOOT TRAFFIC, JOGGERS AND CYCLISTS. THE VIEWS FROM EVERY FLOOR ARE OCEAN! OCEAN! OCEAN! FLOOR TO CEILING WINDOWS. THE QUALITY OF THIS UNIT IS UNSURPASSED. LARGE TERRACES ON EVERY LEVEL LET YOU ENJOY THE OCEAN VIEWS! Penthouse Highlands: Introducing 3621 South Ocean. 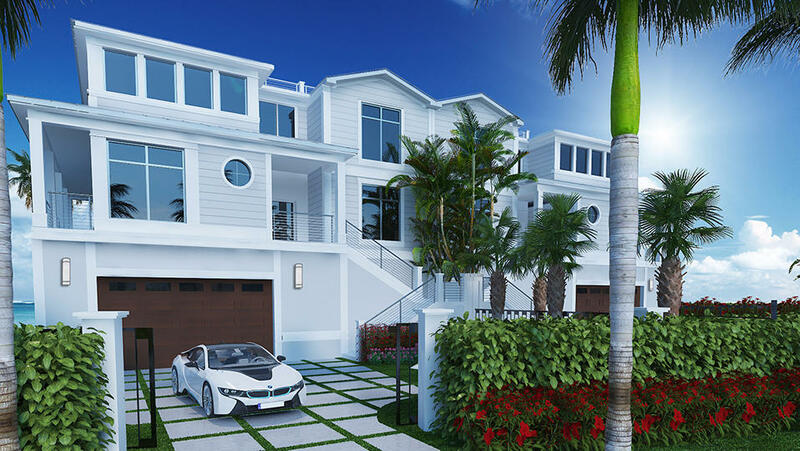 Palm Beach County's Newest Oceanfront Townhouse Development. 6 exceptional residences, situated on 200 ft of pristine beach. 3621 offers unsurpassed luxury, with a modern, carefree lifestyle. 4 floors of spectacular ocean vistas and well thought out amenities. Each residence has a private elevator, plunge pool and an expansive roof top entertainment deck. Carefully curated with hi-end finishes including: Miele appliances, Waterworks fixtures, Irpinia cabinetry, large-format marble flooring. High-tech home automation and security with Crestron and Lutron electronics. 2 car garage, driveway and guest parking. Pet friendly. Fully maintained exterior and grounds, provide a lock and leave lifestyle. Best in-town location. Fabulous townhouse, completely renovated by Hive Interiors, landscape redesigned by Mario Nievera. Exquisite attention to detail. Private pool, elevator and 2 car garage. Sloans Curve: DIRECT OCEANFRONT TOWNHOUSE at the Residences of Sloan's Curve, 5BR / 5BA, Approx. 5,935 Total Sq. Ft., Private Staircase to the Beach. Lounge at your Private Pool in front of the tropical blue Atlantic Ocean with Barbecue. Ocean views from all main rooms, very large Living Room, Dining Area, Large Master Suite & Baths with Oceanfront Balcony, Elevator. Rights to 5-Star Amenities: Beautiful Beach, Large Pool, Spa, Gym, Party Room, Six Lighted Clay Tennis Courts, 24 HR Gatehouse Security. Luxurious waterfront residence in the heart of Delray Beach by the sea! Very rare opportunity to own in the Seagate Yacht Club residence section. With its signature Neo-modern taste, Seaside Builders have paired with prominent architect (Richard Jones) to formulate a waterfront perfection with the finest features and finishes across the board. This 4,400 SF underair , three estate room residence boasts its own private pool, individual courtyard, three floors of spacious living area, a fourth floor rooftop terrace and hotter, summer kitchen & fire pit, all easily available via your own comfortable four story elevator. This Seagate Yacht Club residence was designed as a luxury modern townhome along the intracoastal waterway in the advantageous location of Delray Beach by the ocean. Seagate: DON'T MISS OUT - LAST 1 REMAINING. NEWLY DESIGNED AND FURNISHED BY DECORATORS UNLIMITED. Experience the space, light, and effortless lifestyle offered in this Coastal Contemporary enclave, just steps to the sea. The three distinctively unique residences designed by highly acclaimed architect Randall Stofft will provide sought after outdoor living which connects seamlessly with the dramatic open interiors. Walls of glass and natural architectural elements will define these modernistic themes. While the retreat-like setting offers privacy, the boutiques and fine dining on Atlantic Ave are within an easy stroll. Buyer pays title insurance, Florida documentary stamps, and all other closing costs. Taxes TBD by Co Assessor.Buyer must pay development fee of 1.5% of purchase price at closing. Ocean: COMPLETELY RENOVATED TO PERFECTION AT THE COVETED L'ERMITAGE. AMAZING FLOOR PLAN WITH 3 BEDROOMS, 4.5 BATHS & A DEN. LOVELY MARBLE FLOORS, BATHROOMS ARE BRAND NEW WITH QUARTZ & MARBLE.BEAUTIFUL RESURFACED/RETILED POOL,ELEVATOR,2 CAR GARAGE,SPECTACULAR NEW LANDSCAPING,STATE OF THE ART SOUND SYSTEM BY SOUND ADVICE,GENERATOR THE HOA IS ONLY $712.PER QUARTER AND ALLOWS USE OF THE LAKEFRONT POOL & CLAY TENNIS COURT. Nautical Aire: New-Modern beach area townhomes by Seaside Builders and Richard JOnes Architecture. Designed in a ultra-modern style these private towhomes boast dramatic architectural flair within walking distance to the beach and Atlantic Ave. The information herein is deemed reliable and subject to errors, omissions or changes without notice. The information has been derived from architectural plans or county records. Buyer should verify all measurements. Buyer must pay Development fee of 1.5% of purchase price at closing.Taxes to be determined by county assessor. Unknown at this time due to new replatting of the site.